Happy Birthday to my brother Bryan. There's no way I look ten years older, right? I spent twenty minutes trying to figure out how to put a check mark in the title of this blog. The fact that my vision is so blurry that I can't focus well enough to read instructions re-emphasizes my need for one of those check marks I earned... I made an appointment with the eye doctor! For next Tuesday! Then Wednesday I have an appointment with the dentist to figure out my dental plan from here. My only stipulation: no more teeth come out before we put some more in. I'm chewing on one side. They can't take that away from me or I'll be living on broth and oatmeal. Also, since we've determined that I don't heal well, I don't want to pull any more teeth. I want them to take what's in there now and make it work. I realize this makes me a difficult patient to deal with but I'm living with too much pain with the things we can't fix to willing go into a dentist's office and let him cause me MORE pain. So eye doctor, check ... and also... the financial kind of check. Dentist, check... and another check. I also called the library to see if they have started back up with story time so we can take Cosette. They haven't but they will soon. Cosette is really young for organized activities but... on the other hand she's a smart girl, she does good with sitting still when it's expected of her (out to dinner, per esempio - for example). She might think it's awesome or ... she might completely flake out. I think it's free, though, so ... check but no check. Austin definitely wants to take her to the library to check out books. She's a bit "enthusiastic" with turning pages sometimes so we would have to be careful what books she chooses but I like that he wants her to go to the library. 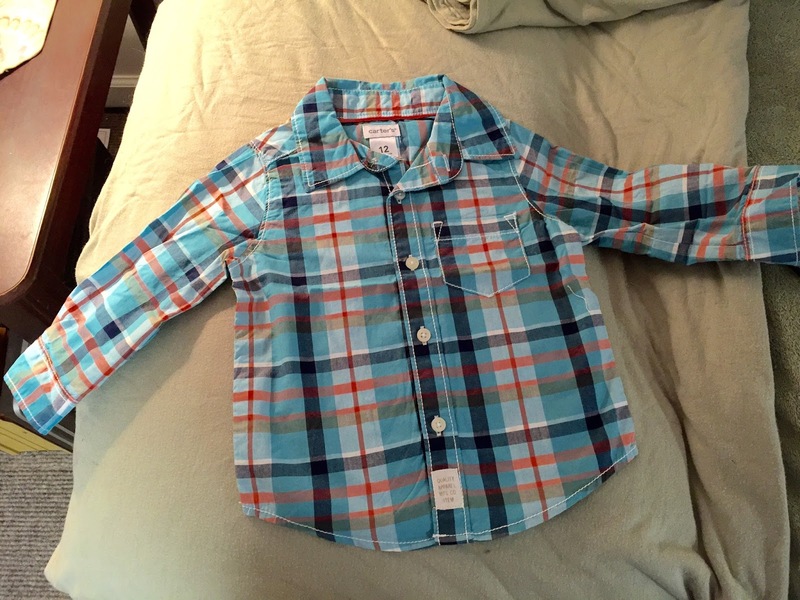 Is it overboard if I say, "he's such a good daddy" again today? As I'm writing this my mom has gone through the first procedure which she said was no problem at all. I've had interstitial cystitis since before Cody was born so any probing of the urinary kind is always going to be painful. A full bladder is painful in a way that folks without IC would not believe. I'm glad it wasn't uncomfortable for mom since she still has to deal with the gastro stuff this afternoon with a long drive down and a long drive home. The urologist sees some stones, we hope they are just the everyday kind of stones and not anything hairy scary. More wait and see on that. If there's anything else more to share from her second appointment today I'll update here and on Facebook. Based on last time, I don't think we'll know much today. When Little Kitty snores it makes the same sound my phone makes when I have a text... just a little buzzing/hummy kind of sound. He's such a little old man sometimes... and other times he's an inconsiderate teenager. He's actually 5 years old so I don't know what that translates to in human years. I didn't sleep well last night. I have seen three fleas on Little Kitty over the course of the past week and have been aggressively treating him - but not the carpet or furniture because I don't want Cosette or Oliver to come into contact with anything harmful to them. I comb him through carefully several times a day with a special flea removing comb that I scrub with soap between uses. I bought the flea medicine for the back of his neck (I'm afraid it didn't get all the way through his fur like it's supposed to). I've even added a flea collar. I haven't seen a flea anywhere but on him but the thought of it is making me itch like crazy. I took a benedryl out of desperation which made me sleepy but unable to sleep. Then the fibro / arthritis flare is ramping up my muscle spasms which... are not as fun as you might think ... so I'm having to consistently take the muscle relaxer that works great and is better at easing pain than even the strong pain meds because it loosens those tight muscles BUT the muscle relaxer makes me so sleepy. NOT... I could take a great nap sleepy. No... it is the dreaded "my eyes are too tired to focus on anything, my brain doesn't process works correctly but there is no way in the world I can go to sleep" sleepy. Which really intensifies that fibro fatigue. It takes a bit of concentration but it's not like learning absolutely brand new words. Unfortunately concentration was = to me falling asleep. So I put my things aside and covered up to be able to sneak a little more sleep while the house was still quiet and then.... Little Kitty took this as an opportunity to sit in my lap and groom himself. Ever tried to sleep while a cat is loudly grooming himself in your lap? The smacking and slurping... the wiggling... every now and then deciding I needed some grooming myself so I would doze off and then BAM! sandpaper tongue slicing through my skin! But at the moment... the house is quiet. Austin's at work and my parents are at the hospital. The cats are enjoying the midday sun on the porch and Oscar is tucked under a blanket beside me. Since I managed to check two things off my to-do list today, maybe I should add "take a nap" to the list and then check that one off too! Love and hugs, everybody! Hope you're having a great day! Today has been quite quiet for me. I did a little dog-sitting this morning while my mom was visiting the urologist. I worked on my Italian. I watched some YouTube videos. I did a little Pinterest research for toddler activities (Austin is very much into planning things for Cosette to do because he is an awesome dad, as you all know!) I did not do anything on the to-do list from yesterday so... boo hiss on my organizational aspirations. I'll get there eventually. My parents got something marked off their to-do list today - they hired a guy to do yard work! Austin has been doing it since we moved here and his perception of a perfectly groomed lawn is somewhat different from my mom's perception. She's always just kind of done what needed to be done to bring it up to snuff as she enjoys working in the yard but she really can't physically do that any more. With Austin working so much and having Cosette on one of his days off every week, he doesn't have the time to put into it that he once did. AND... the riding lawnmower quit working about two weeks ago and we haven't been able to figure out how to get it going again. I say "we" as if I had anything to do with it. Trust me, I don't. Following up on my recent interest in that YouTube series on a visit to North Korea, I watched a video on this guy who defected to North Korea in 1962. I believe there were a few others but this guy was the first. His name is James Dresnok. It was very interesting to see how deeply indoctrinated he has become during his time there. His reason for crossing the border was ... stupid, if you ask me ... his marriage had ended, he had forged a superior's signature on a pass while stationed in South Korea and ... he just figured, why not? Suicide by crossing the DMZ, I guess. He became a propaganda piece for North Korea as did the other men who followed him around that time. He has sons who were born there and who speak English with a Korean accent. It's pretty bizarre because the accent doesn't match the face. The documentary was called, "Crossing the Line" if you're interested in seeing it. I watched it on YouTube. 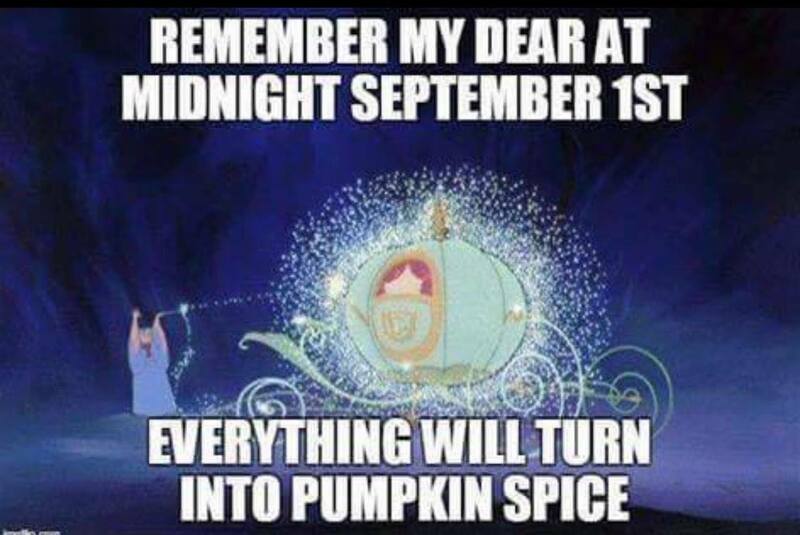 I'm hearing that the Pumpkin Spice Latte release is September 1st, as in DAY AFTER TOMORROW! I'm wondering if Cosette is old enough for her first PSL as she'll be with us that day... Just kidding. Mostly. Today is my middle son, Cody's birthday and tomorrow is my brother Bryan's birthday! I can always remember Bryan's age because he is ten years younger than me. His birth that occurred in the middle of the night. Jim was 12, I was ten and Michael was 3 so my Aunt Ginger and Uncle Carl came and stayed with us when my parents went to the hospital. At some point during the night they opened my bedroom door and turned on the light and said, "you have another brother!!!" And my ten year old/only girl response was, "turn the light off.". I did grow to love him, as I love all my brothers. Although I always wished for a sister, the ones I gained through marriage have been pretty awesome. Some of them are real awesome and some are not awesome so it balances out to be pretty awesome. (Bryan picked a real awesome one) At any rate... Happy Birthday, Bryan! I've always been proud of your accomplishments but I'm even prouder of seeing you as a husband and father! Tomorrow is also my nephew Caleb's birthday. We haven't seen him in awhile but we love him dearly and are thinking about him on his ... yikes... 12th birthday! Tomorrow my mom has two procedures to try to get more information on her health situation. I'll share more when we know more but keep her in your prayers tomorrow. 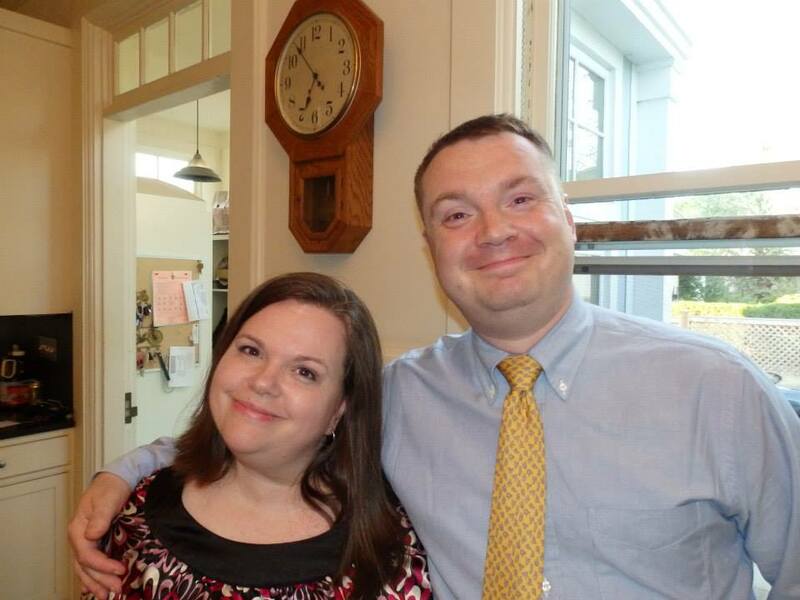 And also, keep my dad in your prayers as he is not great at waiting and he'll be doing a lot of it tomorrow. Praying for comfy waiting rooms and long naps for him. I'll be Oscar sitting so pray for the cats (LOL!). Sometimes Oscar is friendly with the cats and sometimes he isn't. We are anxious to know what my mom is facing. I just keep trying to remember that God knows already and has been working to prepare us all for whatever news comes... and of course you never know anything right away so it's really more the beginning of waiting than it is a resolution. Her first procedure is one I've had before and it's uncomfortable all by itself but then she has a long drive, another procedure and another long drive to face afterwards. Lots of my news for today is really about tomorrow and the next day, it seems... it's all part of being a daily blahhhhger. Some days are just dull. I haven't watched much actual news today. I said I'd go back to the 24 hour news cycle after the Olympics and I really haven't. It's on in the background with the sound mostly off while I do my Italian lesson in the morning. I check online news periodically throughout the day and I leave it on the news channels during the night in case there's something big breaking, I'll see it on one of my multiple bathroom breaks during the night. I'm still so aggravated with the political situation in our country. I feel like we've dealt with so much legitimate tough stuff as a family this year with my mom being sick and the custody stuff and it just makes me angry that people like Anthony Weiner are in the news because he is such a massive pervert and that Colin Kaepernick doesn't have enough human decency to stand for the National Anthem. Our country may not be perfect but it's done an awful lot for him. There's so much more in life that MATTERS. It's just easier to keep my blood pressure under control if I don't watch much news. Does that make sense? End of anti-news rant on News Day Tuesday. I'm catching up on my DVR'd shows this evening and maybe watching a few more episodes of Drop Dead Diva. We had a great dinner - chicken and rice. I'm having a peaceful, easy evening and I hope you are too! Just two more days until Pumpkin Spice everything! Love and hugs, y'all! My blog needs work now that we're all coming here more often. It occurred to me today that I was still showing Austin's age as 21 in the border of my blog and he turned 22 in March. Cody's birthday is tomorrow so I needed to change his age too. I also realized my photos were sort of dated and... didn't include my grandchildren... so I made a lame attempt to update it all. I got sort of cross-eyed looking at photos. The ones I ended up using aren't necessarily the best photos or my favorite photos so... let's call this a work in process. Speaking of works in progress... this is a good day for making a Wish List / To Do List or whatever you want to call it. Revamping the blog is at the top of the list and although I didn't get it exactly like I want... I did work on it today. It felt productive. Also, remember I mentioned a friend gifting me some of her husband's embroidery supplies since he passed away recently? Today I started sorting through and combining his "floss" inventory with mine. It was rough on my back bending over but there's something about having all that thread that makes me feel inspired... energized... READY TO SEW! I also was given a project of my Grandma's that she needed help finishing and then yesterday my second cousin Rachel contacted me about sending me some of her unused supplies. I thought... hmmm... maybe I'm supposed to start sewing again. Life seems to be pushing me in that direction. It really is an amazing way to feel productive when the days all look the same. Step one was combining inventories... maybe tomorrow I can actually start to sew! We also need to get started on Christmas stockings for this year. We don't yet know who will be with us at Christmas but the stockings we made a few years ago were sent home last Christmas with the idea that we would make new ones again this year. I've been searching "DIY Christmas Stockings" so we can get started soon. It's a long road from idea to complete project for me so... time to get crack-a-lackin'! My mom is the one who operates the sewing machine and she's not doing great, health wise. Tomorrow she sees a urologist about some kidney issues then the next day they do further tests with the gastro doctor about the new places of cancer they found on the little bit of pancreas she has left. I feel like we need to get things done before they start doing anything treatment wise that might make her not feel well. I'm also sort of thinking about buying Christmas gifts but I have a bad habit of choosing a gift and having it purchased and wrapped and then I find other things that I would want that person to have so I buy more and more. We've spent a lot on lawyers this year and I still have a long way to go with the dental work (see next paragraph) so I'm going to try to be conservative on the Christmas spending this year. I'm keeping an eye out for gifts in case I come across "the perfect gift" for someone but trying to keep it off the official to do list for a little bit longer. OY. The Dental Work. It's at the top of the "got to get it done" list. My dental anxiety has grown exponentially since we started working on things and I kind of just abandoned the process. I mean, there were things that made it hard for me to intentionally subject myself to addition pain like... having a hysterectomy and going through the custody drama. But it's time. On my list for tomorrow: make my next appointment. Speaking of making appointments... I've been talking about going to the eye doctor since... forever... I can't see to drive after dark. I'm using cheaters to read and sew. I have all these headaches and I really need to get the vision piece of my health issues taken care of. Ask me tomorrow if I've made those two appointments: dental and vision. Remind me. Don't let me put it off any more. On more of a "wish list" than a "to do list" although, I imagine they sometimes cross over. I want to re-do my bathroom. Not as far as replacing the shower with a tub/shower combo (which is what I REALLY want to do) but just as far as painting it a color I enjoy more... new shower curtain... a bigger and better mirror... new towel racks and all that. I thought I'd add it to my Christmas Wish List but in the meantime, if I see something that fits in with my mental image of how my bathroom should look... well... I might have to go ahead and buy it. I've been thinking about doing a gallery wall on the big wall in my living room for a long time now. I have so many awesome pictures of the babies and treasured photos of my kids growing up, old photos that I've been meaning to have reprinted and artwork that has been just sort of piled up and not hung. I can't hang pictures myself but I could gather everything, get it framed and plot it out so that when I have access to a son with a hammer, I can put him to work. 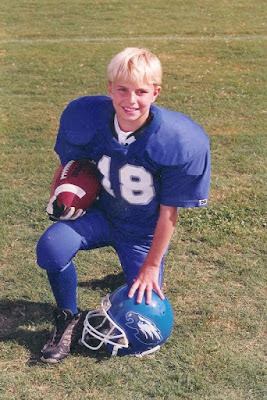 Speaking of sons... Cody's birthday is TOMORROW! He will be 26! How many of you were around when he was born? 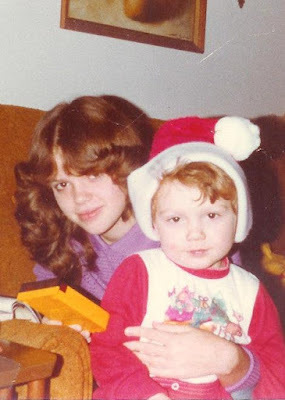 He has always been the sweetest, most compassionate kid... On my "to do" list this week is getting together a little birthday party for him for this coming Saturday when they come to visit, you know, cake and stuff. If you're going to be in White County on Saturday around noon and you want to my sweet middle child... stop by and say hello! Also speaking of sons... I talk to the younger two all the time because of the babies but I need to sit down and chat with the eldest one day soon. He's planning a wedding.... or at least Sara is planning a wedding... and they're still adjusting to life in Myrtle Beach. I hope to be able to make the trip out there soon, you know, when it's not hotter than the face of the sun outside. Time with Ryan is definitely on the to-do list. If you stop and think about it long enough... can't you name off five or ten people you need to make an effort to contact or spend time with? I can. Being physically limited makes me reluctant to contact people because I feel like the question "how have you been?" always brings down the tone of the conversation if I say how I really am. And I feel so guilty for not being physically present in people's lives and not really having the potential, realistically, to be present any time soon/ever. That's an unhappy item on my to do list. I could, however, be better about written communication. I'm never going to be better at telephone communication but I can write, right? I need to clean my closet out. Some of it is too much for me but I could do it in small bites here and there. There are so many things I own that I am just not going to wear again. Other than a few special items, for the most part I'm just wasting space. Then maybe I could stop piling clothes on the bed. Is it too early to break out the fall decor? That's on my to-do list. Along with purchasing my first Pumpkin Spice Latte of the season. Rumor has it that PSL hits the stores on September 1st. Anyone have an "in" at Starbucks who can let me know? The chalkboard markers I used for Olivers birthday chart can be used on windows! I'm eager to draw some pumpkins and... whatever else Autumnal that is within my artistic ability on my big sliding doors. So... I guess I need to put away the laptop and start ticking things off the to-do list, don't I? I mean... I did get the thread sort of halfway sorted today... and I updated the blog a little... so I've made some progress. AND I have been a better blogger lately, right? I think I'm at my productivity limit for the day so I'll get back at the list tomorrow. For sure. What's on your to do list for this week? I'd love for you to share! Happy Monday... love and hugs, y'all! This is my low-rent version of Oprah's favorite things... a blog post where I tell you about things I've enjoyed lately but unlike with Oprah, I'm not giving anything away for free. I wanted to lose myself in a movie this morning. I'm battling a fibromyalgia flare which feels like having the flu, complete with body aches, especially with body aches. For the past five or six or ten days I've woke up feeling miserable and totally exhausted. I am having trouble staying awake in the morning, even though I'm usually wide awake before six every day. I'm still working on my Italian course first thing but I've had trouble concentrating and this morning I totally gave up. I couldn't go back to sleep because the house was awake at that point so it would be an exercise in frustration. I thought it might be a good time to settle into a movie. St. Vincent (the movie) -Starring Bill Murray and Melissa McCarthy - was the one I picked. This one was on Netflix. It was sweet, funny but not slapstick (I hate over the top humor). The story was not too sappy and it met my movie requirement of potential to happen in real life... sort of. I like Bill Murray in serious roles. I like Melissa McCarthy in serious roles, too, I guess. Bill Murray plays a Vietnam Vet with a lot of issues who becomes a babysitter for a little boy who moves in next door whose parents are going through a divorce. It's not a really deep story but it was entertaining and gave me a little time to get past the first thing in the morning funk. 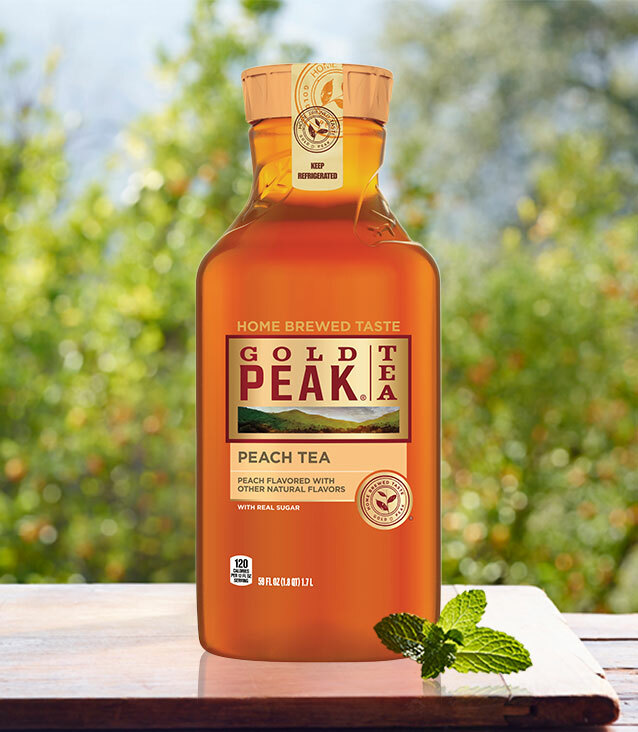 Gold Peak Peach Tea - cheaper than Starbucks peach tea and tastes even better! I've always avoided prepacked tea because it never tasted right. Turns out Gold Peak is made by Coca Cola and they use real sugar instead of high fructose whatever. I think sugar makes the difference. Also... this has to be kept in the refrigerator. There are some versions of the Gold Peak tea that doesn't have to be refrigerated until it's opened. Maybe whatever makes it perishable also makes it good. Whatever the case... it's my favorite beverage of the moment. At least until Pumpkin Spice Latte's hit Starbucks which is BOUND to happen any day! Drop Dead Diva - Binge watching this series about a shallow diva who dies and is reincarnated as a chubby lawyer. Diva's bereaved boyfriend works at the same law firm. There are all kinds of situations that are complicated for Jane (the Diva). It's slightly ironic that my last binge watch event was about a virgin named Jane and now I'm watching a former diva named Jane. Apparently I have a thing for stories about girls named Jane. One benefit of being a C-span / PBS junkie is that there are allllll these television series that I never bothered watching over the past... um... all of my life... so I can always find something brand new (to me) to watch all the way through when I need a break from... the things that I normally do. 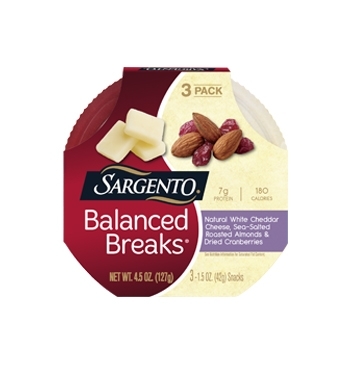 Sargento Balanced Breaks - This is a perfect snack for my mom who is diabetic... For myself, when I need a little something on my stomach to be able to take medication but I'm in too much pain to eat much... For Cosette, minus the nuts, it's a perfect little meal. The cheese is already cut into perfect toddler sized bites. For all of us... it's a little punch of protein (which none of us get enough of). I'm going to say that you could probably make your own little pack of these things for cheaper. Three of these little packs is about $3.50 at Ingles, $2.50 at Walmart. But... if your blood sugar is going the wrong way (mom) or you're in too much pain to fix something for yourself (me) or if you're too young to use a knife (Cosette) ha! I mean, if you don't want to waste precious daddy/daughter time or Nana/grandbaby time fixing a snack... this is a winner. 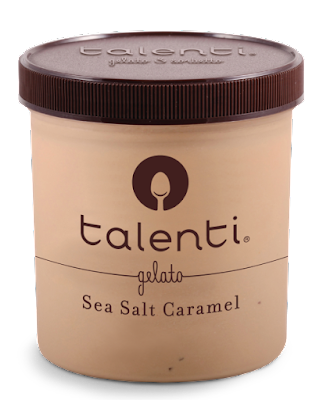 Talenti Gelato. My first love, as far as frozen treats go, is and will always be Luigi's Mango flavored Italian Ice. I have two every night, at 100 calories each. However... there are times that I want something a little more indulgent. This is not cheap but that's ok... the price keeps me from over-indulging. My favorite flavor so far is the sea salt caramel but I'm eager to try the other flavors they sell. The repurposing / upcycling side of me wants to figure out a use for the empty jars. They're a sturdy plastic with a screw top. Mini canisters, I think. I thought about painting them with chalkboard paint to cover the labels... it just feels like it has great craft project potential. You know, to have another reason to indulge besides... "I'm worth it." So those are the things that I've enjoyed this past week. I'd love to hear your favorite products, shows, movies, places to shop.... feel free to leave comments here or on my Facebook page. Thanks for stopping by! Love and hugs, y'all! These photos were taken during my "Facetime with Oliver" last night. Try to ignore my crazy faces in the corner. To grab a toddler's attention on a phone you have to be pretty animated. I'm fairly animated anyways. Also... by the end of the day my hair is pretty much just a fuzzy bun. I'm not trying to impress. I Facetime with Cody and Oliver - mostly Oliver - a couple of times a week. They live about 100 miles South of us and I'm just not as portable as I'd like to be so I end up seeing Oliver about once a month. Facetiming with him when he was a tiny baby was like... ummmm... I think we did better with pictures. Facetiming now that he's old enough to realize that it's Nana on the phone and now that he realizes it's an interactive process is loads of fun! Usually Cody will call me after they've had dinner while Marquee is having a bath and recuperating from taking care of our crazy monkey boy all day. Oliver is ALL boy. B-O-WHY???? Boy. He climbs all over the place. He's a daredevil. He is hilarious and adorable and full of life. He also doesn't sleep much. He doesn't have a slow speed. He is busy all the time. Oliver is now 13 months old. He loves cars, balls, climbing on things, Scooby Doo, outside and water. If you make faces at him he will make the same face back to you. He can stick out his tongue, wiggle his eyebrows, blow raspberries, make about a dozen different motor sounds... he's just fun to play with, even over the phone. He sort of understands the phone situation but not fully. The other day I was eating an Italian Ice and I said, "do you want a bite?" and held the spoon up to the phone and he opened his mouth. I have the same activity table that he has. Yesterday while he was playing with it I pressed buttons on mine and he was really confused. He's really good at waving goodbye and blowing kisses when it's time to hang up the phone. He's honestly just the most adorable little boy ever... and I'm an expert on little boys! < --- in this picture Oliver is running across his couch. RUNNING. He will reach for his dad's hand when he crosses the ottoman from the couch to the loveseat. He still hasn't quite figured out how to climb up on the chair - his favorite spot because it's beside the window and he LOVES to look outside. He's pretty good at getting down off of the furniture. He thinks that pillows are magical protection from injury and will sometimes jump with a pillow. It reminds me of when we were growing up and the two Jeffs would do Evil Knievel tricks off of our concrete slab porch. It was about three feet off the ground. They would build ramps and ride up one end and jump off the other. It's a wonder we didn't have more backyard injuries. There was the one time Jim slid down the hill behind our house because someone yelled that "the old man" who lived in the house behind our property was coming after him. He snagged his knee on something and ended up with a lot of stitches. Our neighborhood was your typical 1970's neighborhood... ranch houses, fenced yards, dads worked and moms stayed home, for the most part. We had a Jeff on one side of us, in the house where Cody and Marquee now live. There was John on the other side and just past his house was another Jeff. Jeff, Jeff, John and Jimmy. I played with Shannon and Karen (John and one of the Jeff's sisters) and Kim, who lived a few houses down and across the street. There were a ton of other kids in the neighborhood. I'm friends on Facebook with a lot of them. But mainly, especially during elementary school it was Jeff, Jeff, John, Shannon, Karen and Kim. The house we lived in had belonged to John and Karen's grandmother. Now my grandson lives in the house beside the house where I grew up. 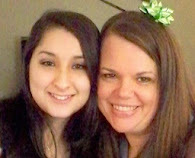 And Dawn who is my parents "favorite daughter" (really just a much loved neighbor) lives across the street from Cody. Her daughter lives in the house next door... where I grew up! Also... my sister-in-law Angie, being the smart woman that she is, bought the house across the street from my parents when her and Jim started getting serious. Once she was in the neighborhood it was a cinch roping her into the family! (she has since sold the house). Oliver living in our old neighborhood... I guess he can't help but carry on the Evil Knievel traditions. Why is he clapping? Because Nana said, "yay, Oliver!" He's got amazing core strength. And you know that activity table hurt his feet... at one point he got frustrated with it but he's just a tough little boy. Notice the one picture where Little Kitty is in the upper right instead of me? He got bent out of shape because I had moved from my usual nest to another chair in my living room. He climbed all across the living room to be able to get behind me so I put the camera on him for a minute. Oliver checked him out for a hot second but he's not as impressed with cats as he is dogs. And pretty much everything else. My parents came through my living room while I was on the phone. You can tell when I'm talking to Ollie because I answer the phone screaming, "OLIVER!!!!" Which makes him giggle. I really love that kid! He seriously makes my day. I've always said that Austin is my youngest and Cody is my baby. Cody has always just been the sweet one. Oliver is like his dad... tough... but just so sweet. Cody's birthday is on Tuesday. They're coming up next weekend and *hopefully* I can get the two babies in one place for the first time since April. Marquee's family was celebrating with Cody today. He wanted us to drive down but it's just too much car time for me. I promised him a SECOND BIRTHDAY!!!! if he came up, complete with cake, balloons, clowns... whatever he wants. So I'm really looking forward to seeing him and celebrating his 26th birthday next weekend. And I can't wait to play with my buddy Oliver! Hope you enjoyed "Facetime With Oliver"... I know I talk about my grandchildren in every single blog post but they really are the loves of my life, my reason for getting out of bed in the morning and truly, my reward for sticking it out this long! Love and hugs, y'all! I'm not gonna lie... going full speed with a toddler wears me out! Austin is with her every second except for, you know, calls of nature and such but I have never been a sidelines type Nana. If one of my babies is around or on the phone or in my presence in any way, I'm giving them 110% of me, even when there are other caregivers around. Time is so precious. I don't want to waste a bit of it! That being said... my energy level dropped a bit in the afternoon so I ended up with more pictures from the morning than from the afternoon. Of course, some of that is because we're actively doing things and not looking at life through a camera or phone. Still... I did get some cute photos! I have a LOT of pictures of Cosette holding my iPhone and all of those came within about a ten minute period. Her dad had a phone call and she's just a little mimic. The whole time he was talking she walked around with my phone doing exactly what he was doing. She even carried the phone outside with her. I have a good Otter Box so I don't worry too much about her damaging the phone. Plus... she's a girl and she's got a pretty delicate touch most of the time. She did manage to drag my digital camera across the concrete on my back porch yesterday and scratched the viewing screen on the back just a tiny bit. I paid around $100 for that little camera six years ago and it's survived lots of "enthusiastic" little photographers over the years. It's going to have to be replaced soon anyways so I just let the babies have fun with it. She does get rather frustrated that she can't "swipe" to change the photo in the view finder like she does on the phone. They're just born understanding technology. It blows my mind! Anyways... like I said... every moment is precious. We played quite a bit on my back porch yesterday which is nice and shady in the afternoon. We set up the foam blocks/puzzle/mat for her to have a soft place to sit. She prefers the cats' mats which are sort of yucky to me. She kept her little Frozen fuzzy house shoes on all day which made her look like such a little teenager. My porch is concrete so it is a little rough on bare feet. Her mom had dressed her in cute little capri leggings that Austin pulled off at naptime to let her be comfy. Somehow she went the rest of the afternoon without her leggings. Hope you're not offended of photos of a little girl in her diaper. I think it's ok... We totally forgot to put her leggings back in her bag to go home. Oops. She also loves Amazon packaging... the big box makes a great fort. The big bubbles that keep things from shifting in the box... she loves when her dad pops those. If you see plastic around her... no worries... we're not letting her ingest it. She actually doesn't touch it other than giving it to her dad to make the loud noise for her. She is not afraid of loud noises. She is usually supervised by at least two adults, sometimes three or four! We use the baby gate to block her access to my room, the cat room (where there's a litter box) and the bathroom. We don't have the stairs blocked off but we are never more than a foot away from her. She's also a bit skittish about falling so she will climb a step and then look to see if someone is going to help her. Just a little safety disclaimer there! When Mawmaw and Pop woke up from their naps (LOL!) we went upstairs to their porch and let Cosy splash in the water a little bit. Oliver is a little fish. He loves water and you can pour it over his head, hold the hose on him... whatever... and he's in Heaven. Cosette is a bit delicate. She splashed in a little bowl and played with some cups but it was definitely not her favorite thing to do. She DOES love her books and the kitty cats and like I said, just being outside on the porch. I love that our weather stays mild around here most of the year and I think we'll get lots of use out of both my screened in porch and my parents new covered porch upstairs. The new porch is great. The old wood porch was rough so you couldn't have walked barefoot or let a baby just plop down on it to play. Now it's like a great big play pen! After we played in the water we went back to my living room. Austin tried to get her to have a little mini-rest-time/not a nap because we had played SO hard all afternoon. She basically gave him an eye roll and jumped back down to play with all of her things. I think if I had cleaned up all the things while she was upstairs playing in the water she wouldn't have had the urge to PLAY. WITH. ALL. THE. THINGS!!!! She read a book with her dad for a hot second and then was up walking around reading her books and enjoying her toys but really, REALLY enjoying her books! We're thinking about taking her to story time at the library. They were doing it on Thursday mornings at the local library the last time we asked and I think she might have the temperament to sit and enjoy a group story. We took her back to her mommy. She fell asleep on the ride but handled the transition beautifully again. She's a champ! My parents had picked up dinner from our local meat-and-three restaurant so I had dinner, facetimed with Ollie and then crashed hard! And now it's Friday again! Hope you have a great weekend! Thanks for checking in! Love and hugs, y'all! While my son and granddaughter are napping I thought I'd go ahead and post the pictures from this morning. We had breakfast at Huddle House - by the way, our Cleveland Huddle House is the #1 Huddle House location in the USA. I don't know what criteria they're judged on but we do love going there. Cosette goes a lot with her mom. The waitress said, "these aren't the people who usually bring you... " to Cosette. She told us that Cosy is "the Huddle House Baby". Cosy is so used to people talking to her that she watches everyone who walks by and waits for them to speak to her. If they don't speak to her she looks sad/surprised. Then we went to Babyland General. It's a great place to play on a Thursday morning. We were the only people there. She was more interested in the play kitchen, the beads and the balls than she was in the babies. We bought two little Hello Kitty dolls. She loves kitties. We made a quick Walmart trip to replace her dad's phone case. He is rough on phones and phone cases. After that we stopped by the WIC office to see if she was supposed to be at that appointment. They didn't need to see her so we didn't stay long. She got a quick cuddle from mom and did awesome with separation again. I was afraid she might be hesitant this week after realizing that we were going to stay gone all day last week. She was so excited to see her dad that she went right to him! Baby girl loves her dad. I hope she always handles transitions as well. Her dad got her swing hung for her. She sort of likes it but is just a little anxious about falling for some reason. Also... she was pretty tired after our busy morning. They went down for a nap - both her and dad - a little before one. They're still sleeping! Nana is catching her breath to get ready for this afternoon. She likes her "fancy shoes" she's wearing them in this picture but the tennis shoes stay on better. Migraine. Day 2. Dot. Dot. Dot.